What is a Video Plumbing Inspection? 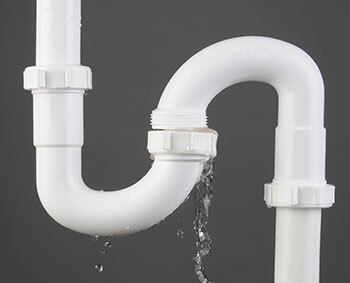 If you are thinking about putting an offer in on a home, one of the greatest unknowns that you’re likely worried about is the state of the plumbing. While you probably checked all the taps and faucets when you first looked at the home, it’s impossible to know exactly what’s going on behind the walls and this can lead to expensive problems very quickly. Luckily, thanks to video plumbing inspections, you can now find out the state of your interior pipes without causing damage that the current owner would frown upon. Learn more about what a video plumbing inspection entails and how it could potentially prevent you from making a very expensive mistake in today’s blog. A video plumbing inspection can identify problems before they become yours! When purchasing a home, a home inspection is a necessity. So why not treat the plumbing system with the same care? The visible pipes in a home are only part of the story and often times the real trouble lurks behind the walls so it is important to know what you are getting into when purchasing a certain house. That’s where video plumbing inspections come in: They provide peace of mind by letting you know exactly what’s going on in the places you can’t normally see. A video plumbing inspection can reveal problems in a home’s main sewer line and can identify cracks, blockages, corrosion, and leaks quickly in any area that you can normally access. Video plumbing inspections can even be used on underground pipes that may become damaged during freezing weather. A video plumbing inspection is a small investment that could prevent a lifetime of headaches. To learn more, contact your trusty Silver Spring plumber. For over 30 years, Master Plumbing & Mechanical has served the Washington, D.C. area, including Montgomery and Prince George’s county. We’ve built our reputation on recommendations from our satisfied customers. This entry was posted on Thursday, November 19th, 2015 at 9:42 pm. Both comments and pings are currently closed.